Collecting involves taking consideration of practicalities that would not necessarily apply to the purchase, transport and storage of other objects. Artworks are often expensive and fragile to the extent that even a slight knock could considerably affect its value and appearance. A mishandling of a painting or sculpture (for example) could result in irreparable damage. For this reason caution is urged when handling and transporting artworks. Other considerations include the correct display of your works, the temperature of the room they are displayed in and insurance and security issues. 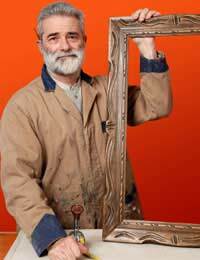 You may also need works to be restored, reframed, stored for you or housed in another collection. When it comes to dealing with artworks there really is only one approach to take – work with the experts, or not at all. The shipping, and handling of artworks can be managed very effectively by trained ‘art-handlers’. If you leave this work to removals persons, or attempt it yourself you could find yourself seriously out of pocket. There are dedicated companies that will ship works across Europe and the world, should you need such a service, whilst other companies who gear themselves towards transporting works within Britain can arrange for international shipment should you require it. The hanging or display of artworks is itself something you may wish to do alone, although it is good at least to get advice from experts or experienced persons. This is particularly the case if you find yourself dealing with heavy or awkwardly shaped pieces. As there are in fact procedures for the hanging of works (depending on their weight and size) it may be worth employing professionals unless your task is a relatively simple procedure. The storage of artworks is often undertaken by companies who also transport and arrange artworks, and for this reason it may be well worth your time finding a good art handler, who also provides storage local to you when you begin to amass an art collection. This proves invaluable over time as such a company is likely to be able to advise you on all other aspects relevant to maintaining a good collection. Should you need works restoring it is imperative that you seek the help of a fully trained restorer, anyone else could well do more harm than good to your work. It is likely that you will need to find a specific painting restorer if you are working with paintings or a sculpture restorer for sculpture (and so on), though the period that your piece was made in may also be relevant. The restoration of antiquities should ideally be carried out only by someone experienced in this field, and so on. It is perhaps best to approach such a person with regards to general storage advice, should your artworks be delicate. Temperature and light will both have an effect on such pieces. With the help of the right experts you will be able to enjoy your collection confidently, in the knowledge that it will stand up to the tests of time. See related articles for further specific advice.